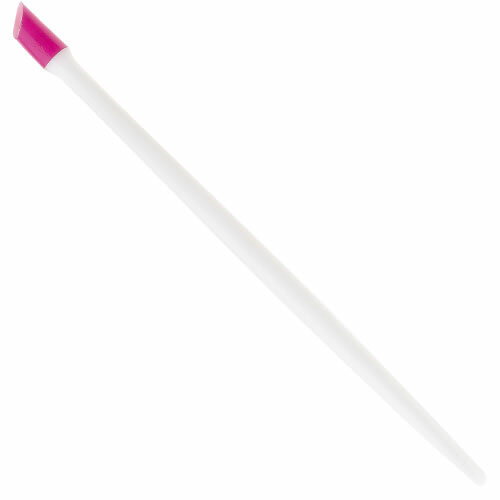 Great value hoof stick with a pink rubber tip on one end for pushing back the cuticle and a shaped white plastic tip on the other for cleaning under the nails. £0.72 (inc. VAT) Why no VAT? We're a trade wholesaler and quote our prices without VAT to help our VAT-registered customers understand the true cost of a purchase. A gentle cuticle remover that softens dead and damaged cuticle tissue, making it easy to remove, using natural extract of Bearberry. Comes in a 195-ml or 495-ml bottle. A gentle, softening cuticle-tidying cream with AHAs scented with fragrant lemon and lime. Comes in a 50-ml pot. Star Nails® Cuticle Remover is the gentlest way to achieve beautifully shaped and groomed cuticles in one application.